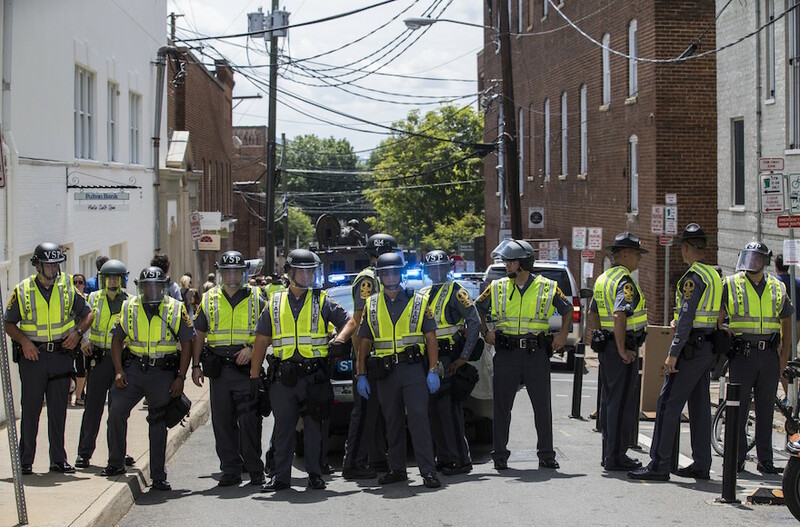 (JTA) — Local officials said police provided protection to a synagogue during a far-right rally last weekend in Charlottesville, Virginia refuting a claim by a Jewish community leader that they had refused to do so. On Friday, Charlottesville City Manager Maurice Jones said it “is simply not the case that Congregation Beth Israel was left unguarded” during Saturday’s event, when neo-Nazis and white supremacists gathered in the city. The synagogue’s senior rabbi also seemed to confirm the police statement. “Police stationed an officer on the corner of the block where the synagogue is located, plus another 32 officers about one block away in the other direction,” Jones said in a statement to JTA. 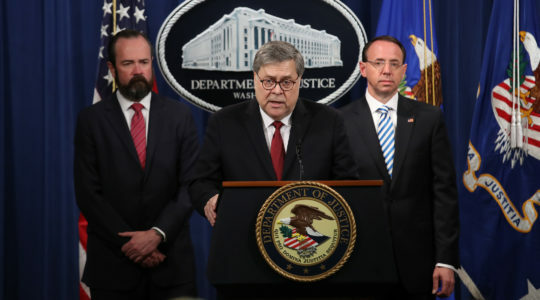 “In addition, we had snipers on a rooftop in close proximity whose primary responsibility was to monitor a two-block radius which included Beth Israel. However, Congregation Beth Israel’s senior rabbi seemed to confirm the police account of the incident in a statement Thursday. In his blog post, Zimmerman said the synagogue had hired security after police allegedly did not provide protection. The synagogue did hire security guards for the first time in its history ahead of the far-right event at Emancipation Park, a short block from the synagogue. Rally participants chanted racist and anti-Semitic slogans, and a counterprotester was killed when a car driven by a suspected white supremacist plowed into pedestrians. Zimmerman, like other eyewitnesses, described intimidation by rally participants or supporters. In a separate interview, Rabbi Rachel Schmelkin, an educator at the synagogue, noted that members of antifa, the anti-fascist street movement, also defended clergy and houses of worship during the rally. “There was a group of antifa defending First United Methodist Church right outside in their parking lot, and at one point the white supremacists came by and antifa chased them off with sticks,” she told Slate. Other members of the clergy gave similar accounts to Slate, praising left-wing counterprotesters for protecting them from the far-rightists. “Based on what was happening all around, the looks on [the faces of the far-right marchers], the sheer number of them, and the weapons they were wielding, my hypothesis or theory is that had the antifa not stepped in, those of us standing on the steps [of Emancipation Park] would definitely have been injured, very likely gravely so,” Brandy Daniels, a postdoctoral fellow in religion and public policy at the University of Virginia, told Slate.